Austin Seelbach is an extremely successful soccer player, a fantastic student, and a great citizen in all that she does within her family and community. I met her as a member of the 96/97 Storm Soccer Academy Girls Soccer team three years ago and I have always enjoyed working with her. She always provides a complete effort in all training and game activities, is a great teammate, and is a person that can always be counted on to take a leadership role within the group. October 8th was a very sad day for the Storm family as Austin tore her Anterior Cruciate Ligament (ACL) in her knee at a Storm training session. A few weeks later I saw Austin at a training session supporting her teammates. Always the positive influence, I asked her if she would like to share her recovery and rehabilitation with the followers of EducatedCoaches.com. She seemed very excited about taking part in this experience and telling her story through her own eyes. Austin will be posting regularly on the EducatedCoaches.com blog site to inform people about the injury and rehabilitation procedure. During this process, I hope Austin becomes an inspiration to others as she shows great strength in her daily battles to return to playing soccer at a very high level. This is Austin’s story. She is the first athlete to contribute to the Educated Coaches blog and we are very excited to work with her and be an emotional outlet during her recovery. I hope you enjoy her writing and how she creates success from this temporary setback. Hi, my name is Austin Seelbach and I play soccer for the 96/97 Storm Soccer Academy team, and the U15 Carolina Elite Soccer Academy ECNL team. Soccer is my life, and my passion and I would pretty much do anything to play. So as you can imagine, tearing my Anterior Cruciate Ligament (ACL) in my knee was pretty devastating for me. When Brad approached me to write for his blog, I was kind of hesitant. I love to write, it’s actually my favorite subject in school, but I didn’t know if people were going to want to read what I wrote about, or if I was even good enough. When my mom told me that this could help another girl get through an injury, or help a coach, or just help anyone, I immediately knew that I had to do this, not for me, but for someone else. That girl that feels like her life is over because she tore her ACL, or that parent that doesn’t understand what her daughter, or son, is going through, and wants to help, or maybe even a coach that wants to help his/her player. By writing this, I just hope that it helps someone. Y’all will also get an inside look to see what it’s like for someone like me to go through something like this. On October 8th, 2013 at a Tuesday soccer practice, I tore my ACL. It was a non-contact injury, which are how most ACL tears happen. When I actually tore it, I was just running with the ball during a scrimmage at the end of practice and my knee buckled. It went in towards my body, and it felt like it snapped. I thought that I had just dislocated my knee. Nothing serious…. I’m a pretty tough person, and don’t like to be babied so when my coach came over and asked my if I was okay, I said, “Yeah, of course” and got up and started walking. As soon as I got up and took that first step, I knew that something was wrong. It felt like my knee was going to slide out of place again. It was a very weird and uncomfortable feeling, but I didn’t think it would be my ACL. I have heard about many girls who have torn their ACL because it’s pretty common in girl’s soccer. I have also personally known some girls that have torn it, but you never think that it will actually happen to you. I got up and started walking towards my dad, who had come to pick me up. I told him what happened, and he had torn his ACL as well, so he knows what it feels like. He said that one of the parents could check and see if it was my ACL, and I immediately stopped. That thought hadn’t even crossed my mind. It couldn’t be my ACL. These things don’t happen to me. But unfortunately it did. That night I just sat in my bed and cried. I didn’t know what to do. Soccer had just started to really pick up for me. 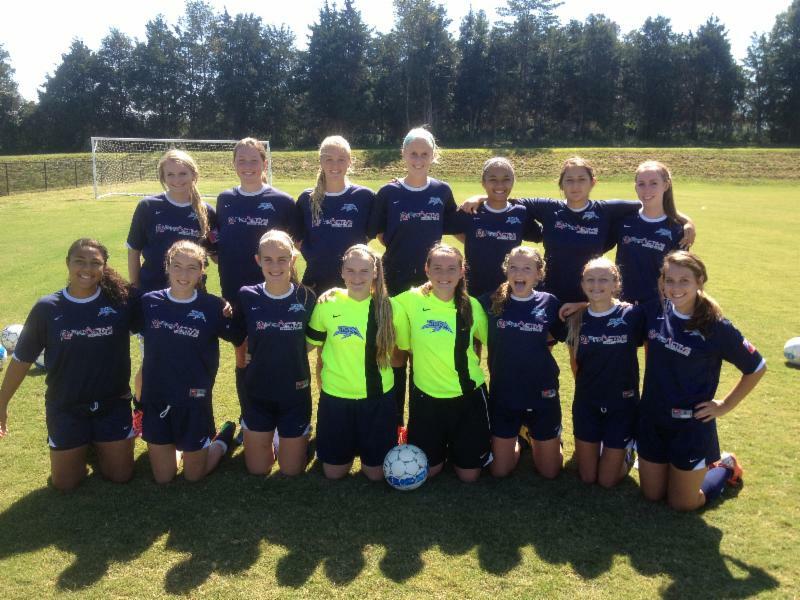 I had made an Elite Clubs National League (ECNL) team, and was playing well. I pictured everything that I would miss, and everything that I couldn’t do. Of course those are your first thoughts when you get an injury like this. I didn’t officially know that it was my ACL until 2 days after I did it. On Wednesday, I got the official news from Dr. Dean who said that usually when he gives this type of news, girls break into tears. But I had 2 days to kind of get over it. Of course I went in my room and cried that night. 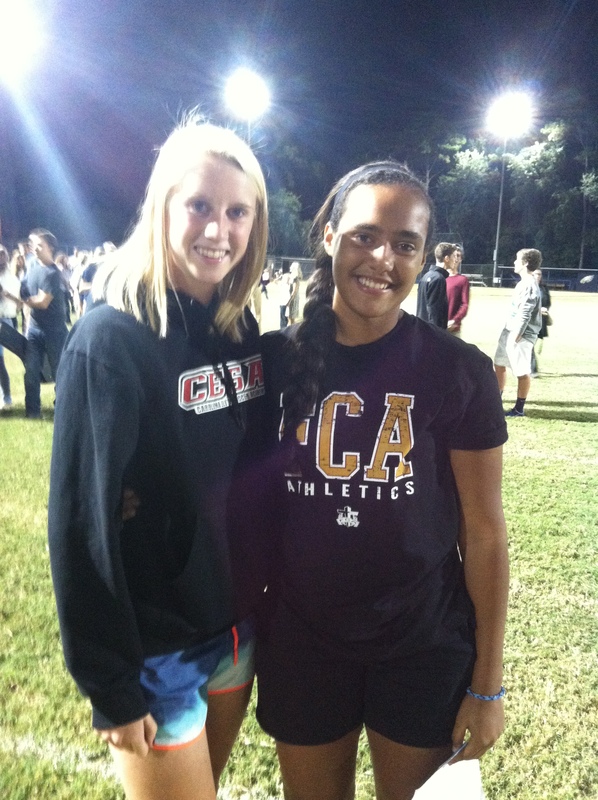 I believe the reason that I was so calm was that on Tuesday, the day before I got my news, I went to Fields of Faith. If you are unfamiliar with the program, it is through an organization called Fellowship of Christian Athletes (FCA). It is when kids, whomever wants to come (you don’t have to be an athlete to join), get together at a high school football field, and sing, pray, and listen to high school athletes share their testimonies. One really hit home with me. It was from one of my really good friends who is a junior, and she tore her ACL last year as a sophomore during basketball season. I was right there next to her on the court when it happened. I remember her being absolutely devastated, but when she was speaking, the things she was saying went straight to my heart. I cried a lot that night, but I had her, and my two other best friends to help me through it. I think that is one of the reasons why I have been so calm and positive during this whole process so far. God put Fields of Faith in my life that night for a reason. So, here we are now, Wednesday October 23rd. Almost two weeks after my injury, and two days before my surgery. I have been going to physical therapy for a week, and I will be going all this week. I have my surgery pretty early Friday morning and I hope it will be quick. My family and I should be able to get home very soon after the operation. This is the first surgery that I have ever had, so as you can imagine, I have pretty much been freaking out. I have so many people supporting me though, so I know that I will be fine. The only problem is there are always those doubtful thoughts in the back of my head. I will be starting my PT again the day after my surgery to get back as soon as possible. They say that it will take about 6 months and I will miss school soccer season, but I will be back for my big ECNL national tournament during the summer, which I am very excited about. The next 6 months are going to be a long and hard road but I have so much support coming from my family, friends and coaches, and most importantly from the man upstairs, and I believe that has been what has helped me these past couple weeks. So as I write for this blog every few weeks, I hope I am able to help or inspire another person with what they are attempting to overcome. Thank you for sharing such an emotional and trying experience Austin. We are so proud of your strength and determination and look forward to hearing about how you overcome this experience. We will all be thinking about you on Friday and throughout your recovery. I am on Storm too You don’t really know me but I know you and you are awesome and strong you are my role model too.I hope you are able to play soon. Sorry I am getting back to you so late. Thank you so much for reading my blog. It means a lot! Thank you sooo much Savvy! Love you to death, and I know that you will be here to support me no matter what! Austin, you are a strong and courageous young lady. Grandma and I are very proud of the manner you have faced this challenge…with trust and faith that this is just part of the larger plan that God has for you….this is just a giant that you will overcome. As always you will be in our prayers. He will be with you the whole way through! Love you. Hi Austin, your grand mom shared this site with me. She is so proud of you for dealing with your injury in such a mature way. After reading your post I can see why! We will be praying for you in Maryland for a good outcome in surgery and recovery. Thank you so much! Love and miss y’all! I just read about what happened and I will be praying for you on Friday as you go into surgery. I know what you are going through as I to tore my ACL and meniscus in a skiing accident. My thoughts are with you and your family as you go through this recovery. 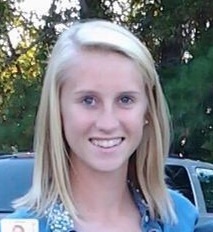 You are a wonderful, inspirational young lady and I know you will come out even stronger. Your willingness to share your story with others just shows the kind of person you truly are. I am proud of you and glad that I had the opportunity to be one of your teachers. God will be taking care of you! Nice touch, Austin. I appreciate the insight. You are an excellent writer! And here is the good news: our bodies heal. Good luck and I will be following your recovery (along with everyone else). Thanks for sharing your experience with us. Your strength and wisdom is an inspiration. We will be praying for a successful surgery and a speedy recovery. Keep us posted! Thank you so much! The prayers mean a lot!